First of all, I did watch and listen to the entire album/ Visual Art of the album compilation. It definitely invoked memories and emotions that I KNOW were specifically targeted for the success of this album. Which I must say…was a brilliant strategy. As a business woman, entrepreneur and artist I give her entire team kudos on the theme and message of this album. I must admit, BRILLIANTLY put together, but brilliantly dangerous. 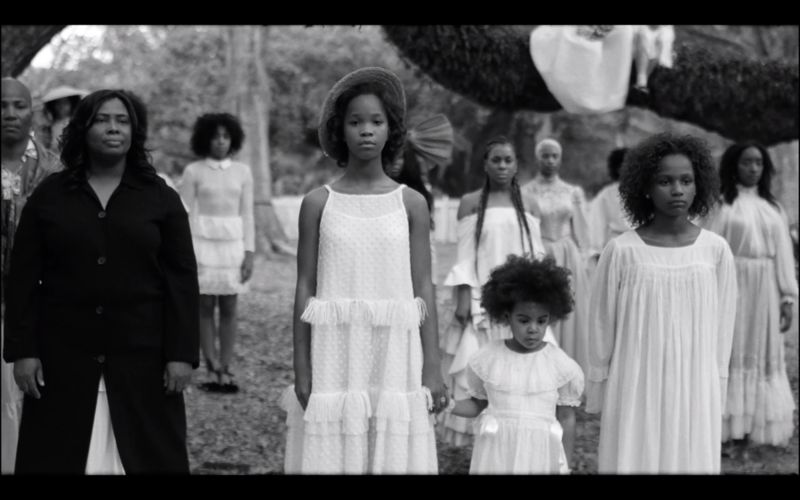 Although I don’t necessarily agree with “directly calling out” the infidelity in her marriage (Marriage is, and should always remain a sanctified entity) I do commend ‪Beyoncé‬ on the raw, relevant emotions brought to the light in the spoken word, with rustic and sometimes dark visuals and cinematography as well as the ‪#‎music‬. Its A LOT to take in…but as an artist, I truly admire the blatant, unapologetic, raw truth in this album (lyrically tho…I don’t agree with quite a bit of the imagery…but thats another post). I can’t say that I’d listen to the album a second time, but Art is still ‪#‎Art‬ when expressed by any Artist. I only pray the ‪END‬ is illuminated more in the minds of those who gravitate to the “rawness” of the album when they “relate” to it. “How could they have done that to me?”. Experiencing this type of treatment and exemplifying this behavior is NOT what I want to pardon, partner or glorify and side with. Coming to a deeper understanding of relational things through the Word and God’s example of all things relational, has totally helped me to see things differently. Ultimately, teaching me how to pass on information differently to sever the lies of the enemy that LOVE is FLAWED. The truth is, LOVE (…or GOD, because GOD IS LOVE according to 1 John 4:7-8) IS NOT FLAWED! However, when we are mature enough to face the flaws in OURSELVES, we can face and address the brokenness that causes us to perpetuate the negative feelings we feel when hurt, then hurt one another! 2:1-6 Your job is to speak out on the things that make for solid doctrine. Guide older men into lives of temperance, dignity, and wisdom, into healthy faith, love, and endurance. Guide older women into lives of reverence so they end up as neither gossips nor drunks, but models of goodness. By looking at them, the younger women will know how to love their husbands and children, be virtuous and pure, keep a good house, be good wives. We don’t want anyone looking down on God’s Message because of their behavior. Also, guide the young men to live disciplined lives. I’ve definitely been that “crazy chic” that broke glasses and windows, punched holes in walls and even thought about bodily harm to myself and others because of the misrepresentation of “love” in my life. Not proud…but thank God for true CHANGE. Bless God for the day I was introduced to REAL LOVE…I eventually found that those reactions that were so out of character, didn’t mirror truth. It didn’t mirror integrity and Godly-Character, or beauty, or forgiveness. It didn’t mirror ANY type of Christ-like behavior to tell you the truth. And I wasn’t justified in that behavior because of the wrongdoing of someone I cared about. So how do we ensure our young women aren’t misused, mistreated, misrepresented or abused? By teaching them what TRUTH is. What it looks like, first in themselves, and then in others. We tell the truth. We don’t rush through hurt. We share OUR PERSONAL TRUTHS and TRIUMPHS…then we encourage each other to at ALL COST, to walk in love! Nevertheless, as a woman, daughter, sister, mother and artist…I accept my responsibility to be accountable to those around me. We are all responsible and must do a better job in showing, reminding, and speaking truth, strength and life, femininity and courage over our young women in an effort to fortify their self-worth, their value and further cement their identity in the truth of who they are. PRECIOUS & COSTLY.